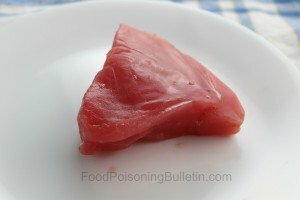 The Centers for Disease Control and Prevention (CDC) have announced that the raw tuna called Nakaochi Scrape that is linked to the recent Salmonella Bareilly outbreak in the U.S. was imported from India. 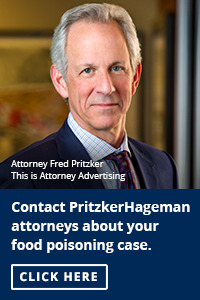 Public health officials have identified seven clusters around grocery stores or restaurants where two or more sickened people (who are not related) ate. Those clusters are in Connecticut, Maryland, Rhode Island, Texas, and Wisconsin. In fact, in four of the seven clusters that the CDC has identified, facilities bought the raw Nakaochi Scrape tuna from Moon Marine USA, which imported it from a single tuna processing facility in India. To date, 141 people have been sickened and 21 of those people hospitalized in the outbreak that began on January 28, 2012. Officials do not know if all of the tuna has been recalled or if some is still at restaurants and grocery stores, since the tuna went through several distributors and was broken down into smaller, unlabeled lots along the way. Food Poisoning Bulletin asked Dr. David Love, Project Director for Public Health and Sustainable Aquaculture Project at the Johns Hopkins Center for a Livable Future if the longer supply chain may have contributed to the contamination.